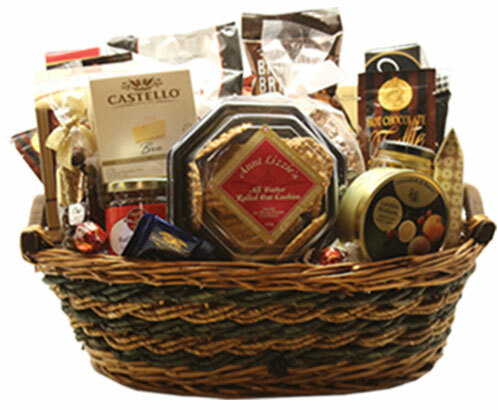 Gourmet food baskets, pamper baskets and theme gift baskets are just some of the many creations designed at Bursta Baskets, located in Brockville, Ontario, Canada - servicing Brockville and surrounding areas. Baskets are available in varying sizes and price ranges. Our baskets are bursting with gourmet delights and an assortment of delectable treats, bath and beauty items, or theme-related products. You may substitute, subtract or add items to any basket, or we are happy to custom-design the entire gift. We strive to provide you with personal, reliable and prompt service. If you are ordering gift baskets for the Brockville, Ontario area we offer local delivery. Outside of Brockville? We can ship!